YAOUNDÉ, Cameroon, Aug 9 2016 (IPS) - It is a sunny afternoon in Boui, a small village in the Boumba and Ngoko Division of Cameroon’s South East Region. A primary school teacher is drawing some wild animals on the blackboard. Then she turns to the class of fifteen pupils. “Who can give me the names of these animals?” she asks. As her his pupils respond, she flashes an engaging grin and provides nods and words of encouragement. Lisette Bikola is one of kids. She is a 12-year old Baka boy with high dreams, now in her third year, a level most students reach by the time they are eight. “What matters to the Baka is the present. The past and the future does not matter,” he said. 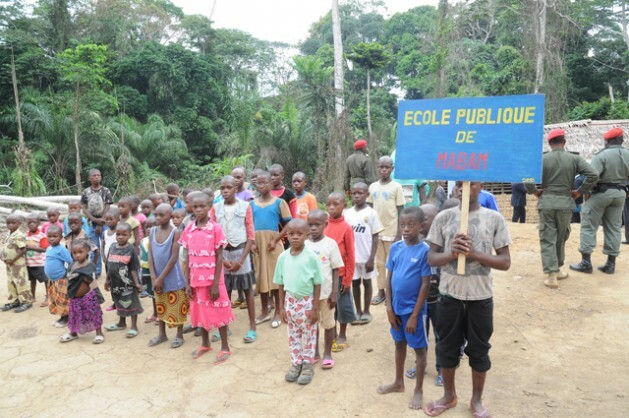 “We have had a lot of propositions coming from many different actors: government ministries, organizations, the Baka themselves, and among the recommendations are first and foremost, using the Baka language in school,” Tucker says. “The couple of Baka kids I have in my class tend to quickly understand what I teach if I use examples from their immediate environment,” says Quinta Kochi, the primary school teacher at the Boui school.